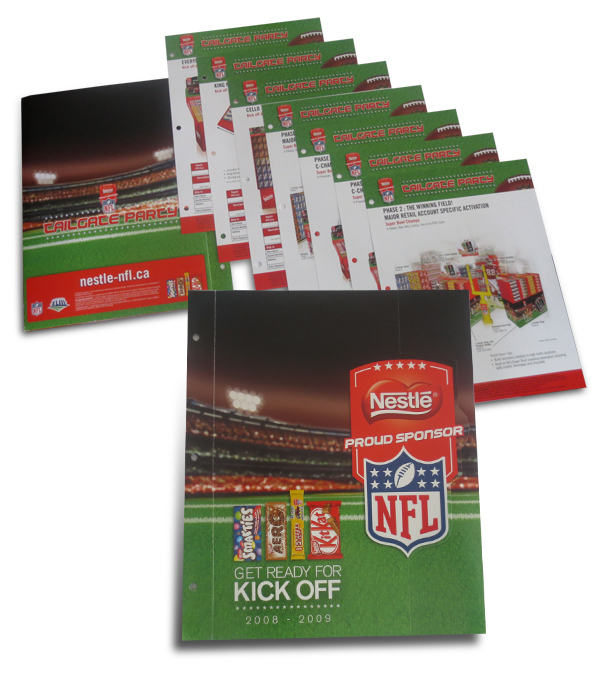 As an official sponsor of the NFL and the Superbowl, Nestlé developed a diverse and comprehensive point of sale offereing. 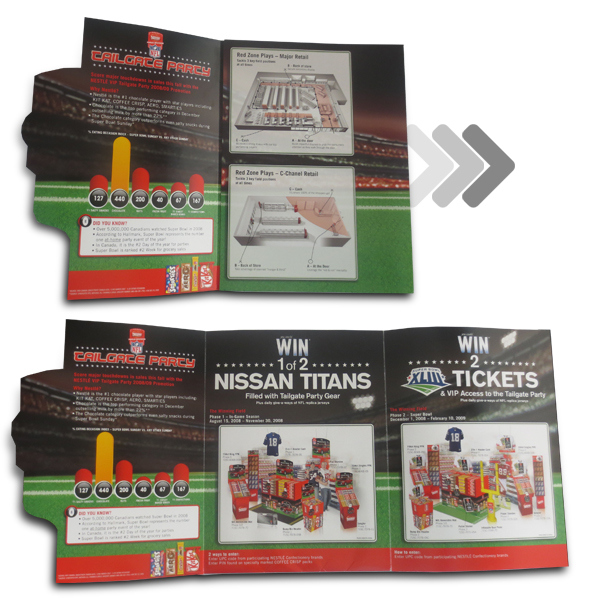 To ensure successful executions, this Merchandising Kit was produced so that sales reps could communicate best practices. Confectionary is a competive category. The kit and the program were both very successful in carving out presence.